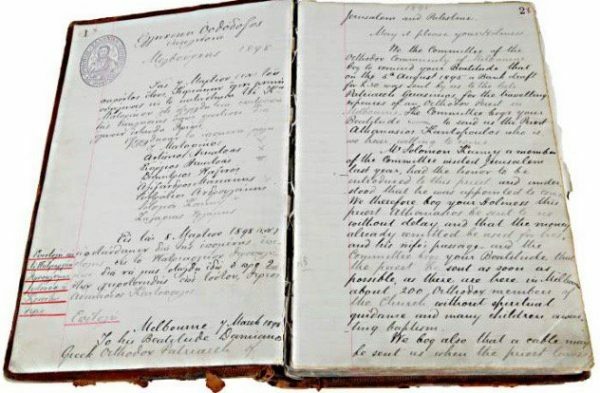 In celebration of the 114th anniversary of the first Greek Orthodox Church opening its doors in Melbourne, the Greek Orthodox Community is sharing the first logged minutes dating back to 1897. These rare minutes are written in a tattered book more than a century old and contain the names of hundreds of the first Greek immigrants in Australia. The documents are considered links to the cultural heritage of the Greek diaspora in Australia, telling the story of the evolution of Greek-Australian society and identity. To view the minutes click here.